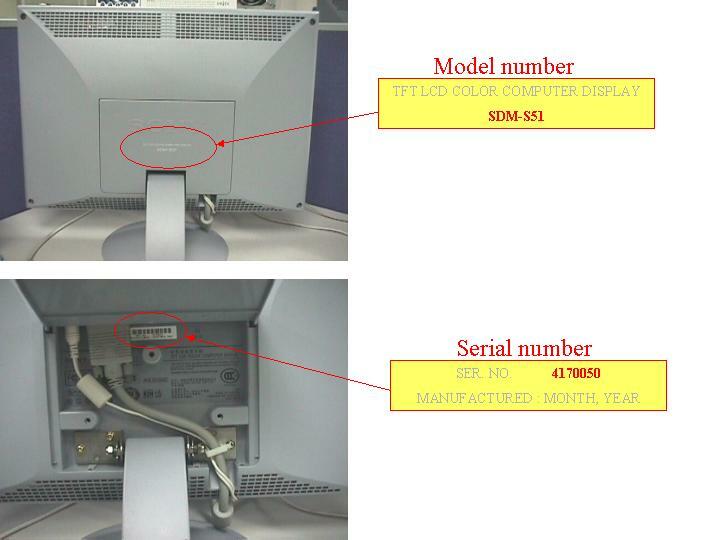 Location of the monitor model number and serial number information. The model number (e.g. SDM-S51) and serial number (e.g. 4170050) can be located at the rear of the display panel.